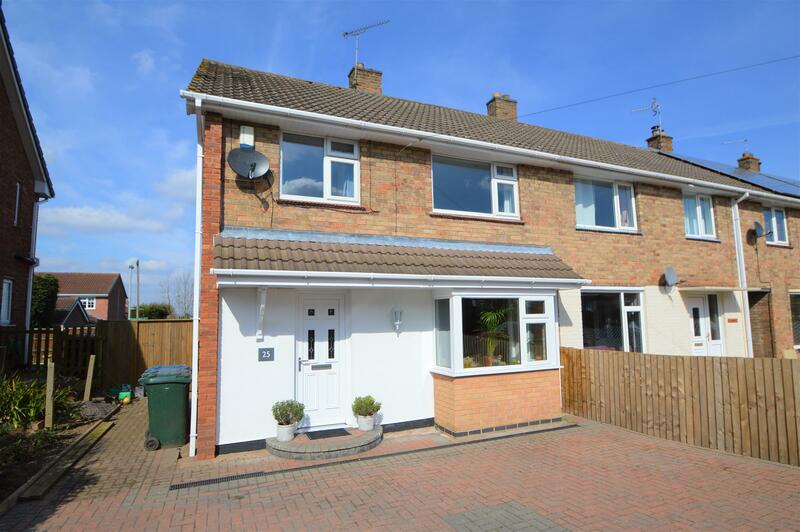 Benjamins are pleased to present to the market this well presented three bedroom semi detached property in the sought after South Nottingham village of Cotgrave. The property briefly comprises of; living room, play room, kitchen diner, three bedrooms, family bathroom, enclosed rear garden. Benefiting from a large workshop in the garden and off road parking. Within easy reach of excellent facilities including schools, shops, leisure centre, regular bus service into Nottingham and West Bridgford and close to the popular Cotgrave Country Park on Hollygate Lane. UPVC double glazed door into entrance hallway with storage cupboard and understairs storage area, laminate flooring, radiator, stairs up to first floor and doors into living room & kitchen. UPVC double glazed window to the front aspect, feature gas fireplace, TV aerial point, ceiling spot lights, carpet and door into play room. A range a wall and base units with work tops over, stainless steel sink with drainer & mixer tap, integrated electric oven & hob, extractor fan above, plumbing for washing machine & full size dishwasher, space for freestanding fridge freezer, ceiling spotlights, UPVC double glazed window to the side aspect and french doors onto rear garden. Radiator, loft hatch access (combination boiler in loft), doors to bedrooms & bathroom. 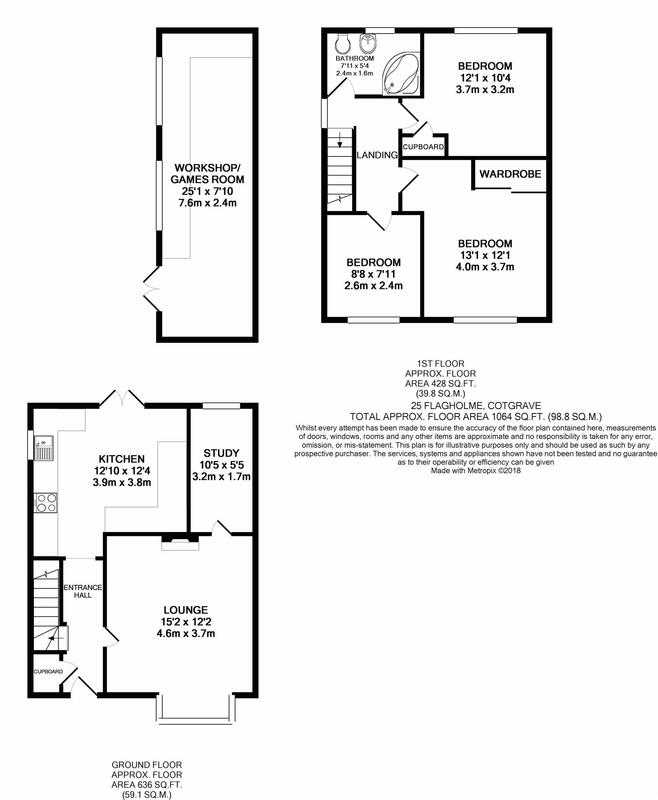 Three piece bathroom suite, shower over jacuzzi corner bath, low level wc, wash hand basin, fully tiled floor and walls, towel rail, UPCV double glazed window to the side and rear aspect. UPVC double glazed window to front aspect, built in double wardrobe, ceiling spot lights and two wall lights, carpet, radiator. UPVC double glazed window to rear aspect, built in cupboard, ceiling spot lights, carpet, radiator. UPVC double glazed window to front aspect, ceiling pendant light fitting, carpet. The rear garden is a good size and includes a very versatile workshop with kitchen units, worktops, lighting & power. The decked area to the rear creates a very private sun-trap. The property is not overlooked from the rear. To the front of the property, there is a block-paved driveway and gated access round the side of the property.